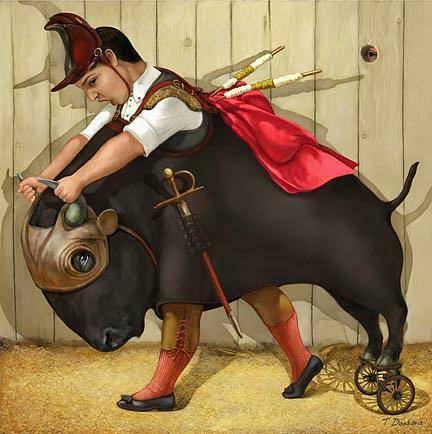 La Corrida is a painting by Tanya Doskova which was uploaded on January 15th, 2010. Watching this work makes you feel better, the settings reminds me of stories of absurd writer Daniil Harms. Very nice works! Graphics composition is excellent. Own style is worked out and is visible: this so important to find in this gigantic world of art.